To us, being in real estate is about much more than helping people buy and sell homes in Jacksonville. It’s about building community, one family at a time. We care deeply about Jacksonville, which is why we’ve lived in the area our entire adult lives. That’s why it’s such a thrill for us to help other people find a home in the city we love. Every family we help find a home for sale in Jacksonville is another building block in a better, happier, friendlier city. We’re deeply committed to improving the community we live and work in. That’s why, for the last 10 years, we’ve donated a portion of every sale we’ve made to Children’s Miracle Network Hospitals. It’s a great way to help families when they really need it the most. Here in Jacksonville, our funds help provide badly-needed equipment and hospital additions to Wolfson Children’s Hospitals. Recently, we were lucky enough to get a tour of Wolfson Children’s Hospital. It was a chance to see all of the fabulous ways our donations are being used to save lives and help families from all over the First Coast. It was incredibly inspiring seeing the thousands of lives they’ve touched and realizing that we made some small contribution to all of that good work. Keeping families in Jacksonville safe and healthy benefits all of us. We don’t just sell homes in Jacksonville, we live here, and it’s good for us both personally and professionally to make the city a happier, healthier place. That’s why we’re REMAX Miracle Agents, and it’s why we’ll continue to support Children’s Miracle Network Hospitals each and every time we sell a home. 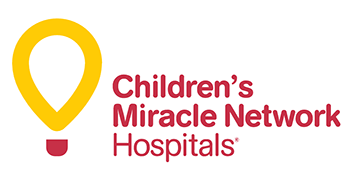 If you want to do your part to help Children’s Miracle Network make Jacksonville a healthier place to live, just click here. Make sure you select Wolfson Children’s Hospital from the dropdown menu to make sure your donation helps families in the First Coast. We work all over Jacksonville, but we’re Beaches girls at heart. Ponte Vedra and Jacksonville Beach are special places to us. This is where we live, where we raised our families, and where our office is located. We’ll cross the ditch when we have to, but home will always be at the Beaches. That’s why we’re so happy to support the Beaches Emergency Assistance Ministry, better known as BEAM. BEAM is an amazing charity helping low-income families in the Jacksonville Beaches. From food pantries to nutrition education, social services assistance to emergency financial assistances, the incredible people at BEAM are putting in the hard work to make sure that no one in Jacksonville Beach goes hungry or homeless. This is a small, dedicated group of people that has already helped nearly 20,000 adults and children enjoy a better life. With a little bit of help from all of us, think of how many more people they could help. To learn more about the invaluable work BEAM is doing in the Jacksonville Beaches, please visit their website. And if you can donate or volunteer your time, please do! Working together, we can make sure the Beaches remain an amazing place to live. What’s So Special About St. Johns County? We’ve already told you some of the things we love most about Jacksonville, but today we want to focus on St. Johns County. The home of Nocatee, Ponte Vedra Beach, and historic St. Augustine, St. Johns County is one of the most beautiful and desirable locations anywhere in Florida. Demand for real estate in St. Johns County is constantly growing, even with all of the exciting new communities being constructed. Why, though, does St. Johns County attract so many families looking to buy a home? To understand what makes it such an attractive location, you have to understand the unique combination of factors that make the area so perfect for families. With that in mind, here’s a quick rundown of why St. Johns County is such a great place to live. St. Johns County is full of beautiful homes, but so are a lot of places. What sets a home in St. Johns County apart is where it’s located. Nearly everywhere in St. Johns County is mere minutes from Northeast Florida’s world-famous beaches. 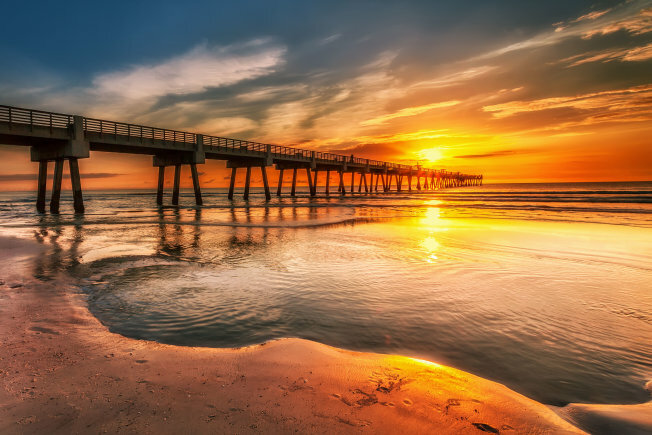 Whether you’re looking for beachfront property or something in a traditional suburban setting, St. Johns County has the perfect spot for you, and all of them offer easy access to the local beaches. 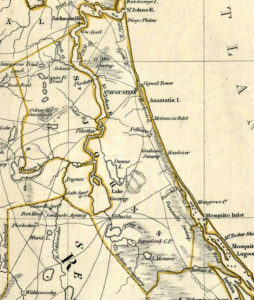 Not only is it close to the beach, St. Johns County is home to Historic St. Augustine, the nation’s oldest city. No matter where in the county you live, you’re a quick drive away from the city’s historic landmarks and tours. If you’re looking for a little bit more modern entertainment, it’s only a few hours to Orlando, Disney World, and the rest of Florida’s theme parks. One of St. Johns County’s biggest drawing points for young families is the school district, which is consistently recognized as one of the nation’s best. You won’t find better public schools anywhere in the country, and that’s one of the biggest reasons that families looking to buy a home are drawn to St. Johns County. 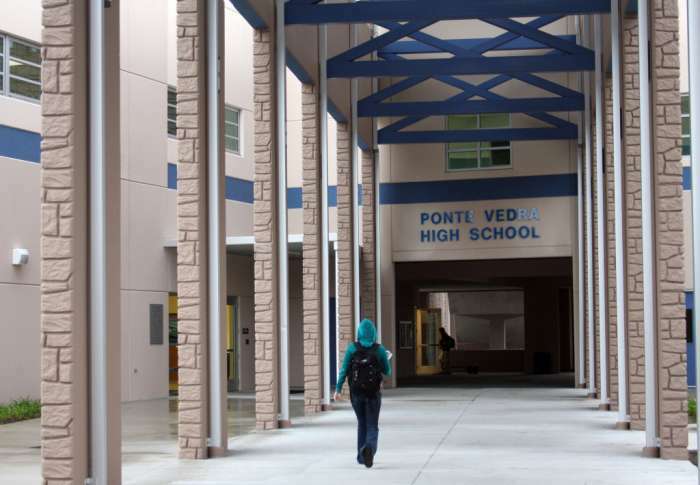 Buying a home in Ponte Vedra or Nocatee means that not only will your children grow up in a safe, beautiful neighborhood, they’ll get a world-class public education all the way from Kindergarten through graduation. St. Johns County offers a unique way of life that you won’t find anywhere else. There are tons of suburbs in every state, and a whole host of beach communities. There are scores of places with beautiful, sunny weather. What makes St. Johns County so special is how it blends all of those things together to create a lifestyle uniquely its own. If you’re looking for a beautiful, fun, safe place to raise your family, a place where your kids can get a top-notch education while enjoying the best weather, scenery, and lifestyle you’ll find anywhere, look no further than St. Johns County. And if you’re interested in buying a home in St. Johns County, look no further than Team Kelly and Wanda. We’re the St. Johns County real estate experts and proud residents too. Give us a call and let us show you exactly what the St. Johns County way of life can do for your family. Let’s face it, there’s a reason people travel from all over the world to enjoy Florida’s beaches. 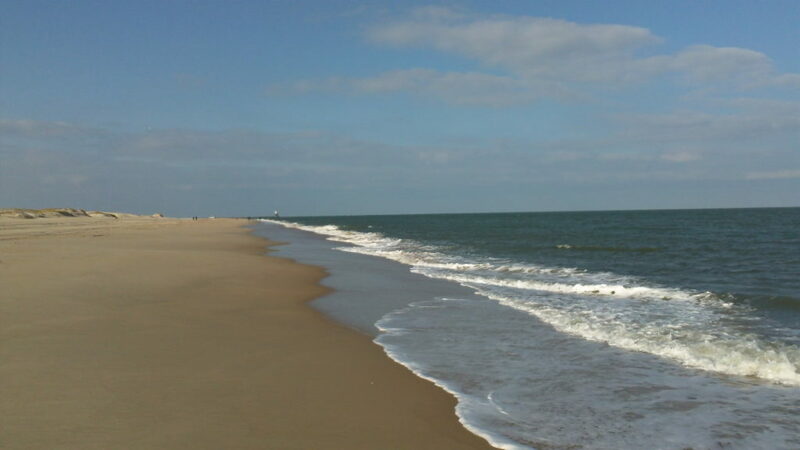 The First Coast is home to miles of pristine oceanfront property and months of sunshine every year. Why settle for a few days of sun and sand, though? Buying a home in Jacksonville means you get to enjoy the laid-back beach lifestyle all year long. No one is better at helping people find the right beachfront property than Team Kelly and Wanda. We have years of experience helping families relocate to the Beaches, and no one has more intimate knowledge of the local real estate market. Give us a call today and enjoy vacation luxury every day of the year. The beaches are spectacular, but Jacksonville has a lot more to offer than just waterfront luxury. Jacksonville is one of America’s fastest-growing cities, and there’s no shortage of diversions for adults and children of all ages. If you enjoy shopping, you’ll love living so close to the St. Johns Town Center, one of the most impressive malls in the Southeast. For the sports nuts, Northeast Florida isn’t just the proud home of the Jaguars, it’s home to the most dense collection of world-class golf courses you’ll find anywhere in the world. You can try your luck at the world-famous TPC Stadium Course or watch the pros show you how it’s done at The Players Championship, which hosts the world’s most elite field of golfers every year. 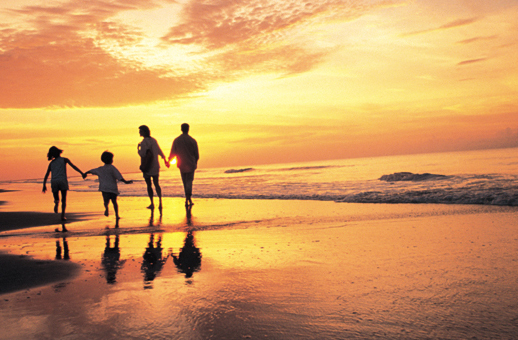 Best of all, Jacksonville families don’t have to look far for the perfect getaway. We’re only hours from Orlando and the theme parks, which means you can take the kids for a Disney day trip any time the mood strikes. 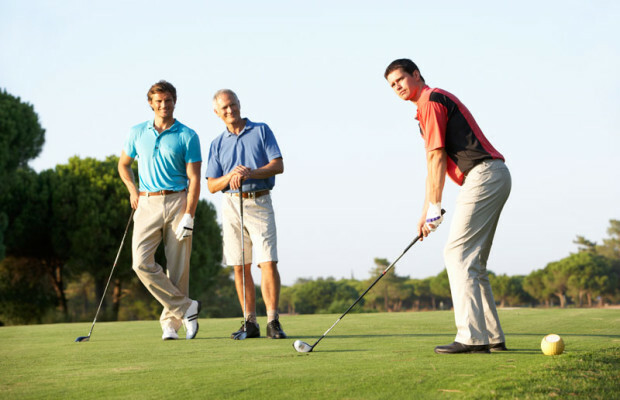 Buying a home in Jacksonville means your family will never be at a loss for something fun to do. As amazing as life in Jacksonville already is, it’s only going to get better. The city is growing at a record rate, and spectacular new communities like Nocatee are popping up all over town. Whether you’re looking for the quiet beach life or a little bit of big-city hustle and bustle, Jacksonville has the right neighborhood for you. Companies are flocking to Jacksonville because of the amazing lifestyle, and the job market here just keeps improving. For families in Jacksonville, the future is just as sunny as the weather. These are just a few of the things we love about living in Jacksonville. Give us a call for a guided tour of everything living in Jacksonville has to offer. 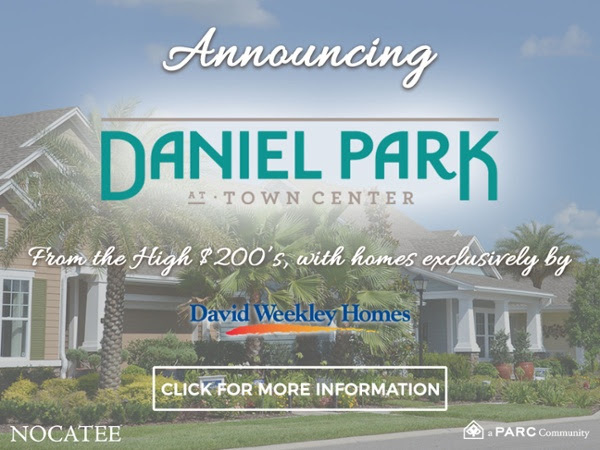 Announcing Daniel Park A New Neighborhood in Nocatee! Exciting news on the Jacksonville real estate front! There’s a new neighborhood coming to Nocatee! Daniel Park at Town Center will feature David Weekley Homes priced from the high $200s in an urban lifestyle setting. The neighborhood will be within easy walking distance of Nocatee’s shops and dining, which means residents get the feel of urban living inside a beautiful suburban neighborhood. 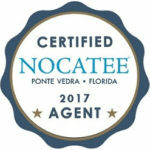 Don’t forget, Kelly and Wanda are Nocatee Certified Agents, which means they’re ready to get your family into this exciting new neighborhood as soon as it’s available! Check out the link below to learn more about Nocatee’s newest addition, and give Team Kelly and Wanda a call if you want to enjoy the perfect combination of urban lifestyle and suburban luxury! We’ve already discussed how much proper upkeep can help keep your property value as high as possible. There are lots of little things you can do yourself that will boost your home’s curb appeal and keep the value of your house maximized. It doesn’t take much to slap on a new coat of paint or to spend an afternoon doing some light landscaping. Sometimes, though, your home is going to require updates, additions, or improvements that are a little more substantial. That’s where contractors come in. 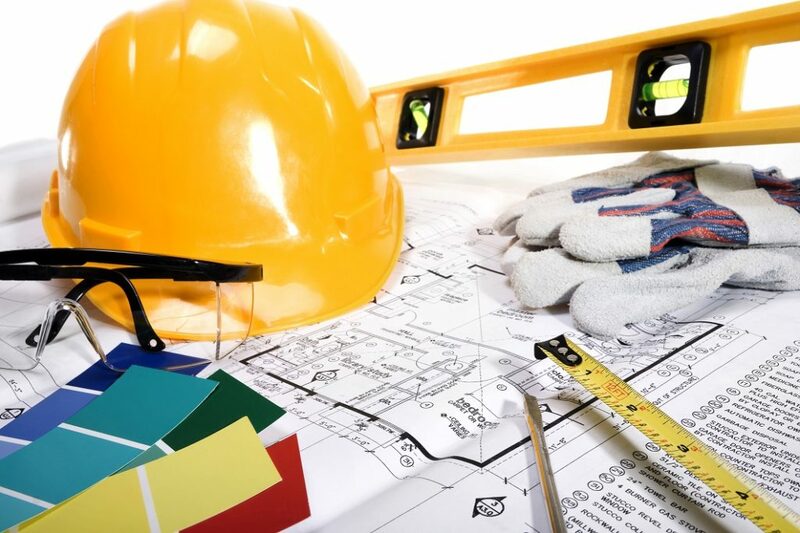 A skilled contractor has the vision and expertise to take your home to the next level. They’re capable of doing the big jobs that your average homeowner just doesn’t have the time or skills to handle alone. Hiring a contractor is a big risk, though. We’ve all heard horror stories of half-finished work, huge budget overages, and shoddy craftsmanship. Don’t worry, though. It’s perfectly possible to hire a contractor who will do your job quickly, perfectly, and on a budget. We’ve put together a few handy tips to help you pick the right contractor for your home. This is by far the most important step to hiring the right contractor. It’s a crowded market out there, and plenty of contractors can talk a big talk but aren’t able to back it up when it comes time to complete the work. Smart homeowners never just take a contractor’s word. Luckily, you don’t need to. There are tons of resources available for homeowners looking to hire a contractor. The most obvious is friends and family. Reach out to the people around you and ask them who they’ve used in the past. It’s a great way to find out who is able to follow through and who doesn’t live up to the hype. You don’t just have to rely on your personal connections, though. The internet is an invaluable tool for identifying quality contractors. Services like Yelp, Angie’s List, and HomeAdvisor all offer tools for homeowners looking to do some work around the house. Before you make a huge decision regarding your home, make sure you exhaust every possible resource to help you make the right decision for your family. Budgeting is crucial. As much as we might wish it was different, sometimes unexpected costs are going to happen. If you set a budget for yourself and then plan a job that pushes that budget to a limit, it’s almost guaranteed that you’re going to watch the cost exceed your expectations. When budgeting for home improvements, it’s important to give yourself a cushion. Know how much you are willing to spend and then make sure that your planned updates and additions come in a good bit under that price. Understand that you might need to pay for extra labor, higher material costs, and other unexpected expenses and then plan accordingly. 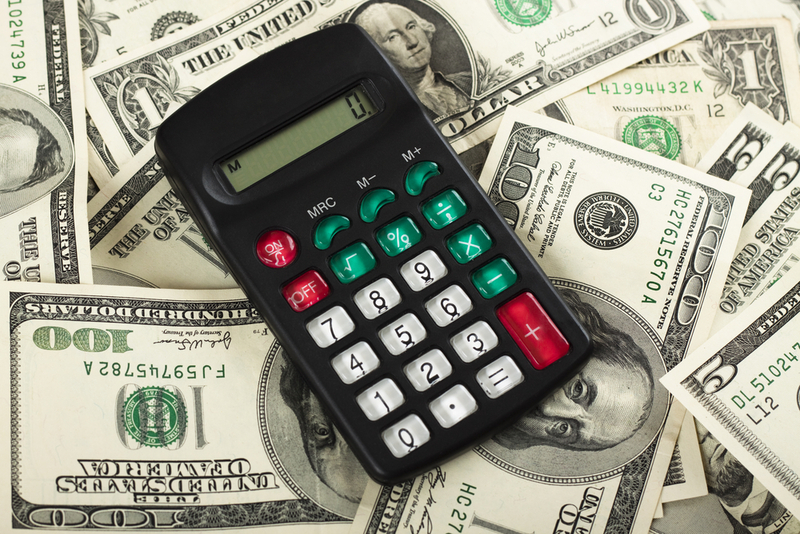 Don’t get caught unprepared when those additional expenses rear their heads. It’s easy to get carried away with improving your home, but it’s important to do a risk and reward assessment before you start writing checks. Not every home improvement is equal when it comes to improving your home’s value. If you want the best return on your investment, you should figure out what buyers are looking for and then only do improvements that are going to make your home more valuable and enticing. Obviously it’s fine to spend money to make your home a more important place to live, but if you want to maximize your property value, stick to things that are going to give you the best possible return. Primrose School Coming to Nocatee! It’s no secret that Nocatee is one of Jacksonville’s most attractive destinations for families. It’s a safe, beautiful neighborhood with small-town charm, big city access, and a constantly growing list of amenities. From water parks to farmers’ markets, convenient shopping to scenic golf cart trails, Nocatee really has something to offer everyone. For parents, the prospect of moving to Nocatee just got even more attractive. Later this year, Primrose Schools will open an Early Education Center right in the heart of Nocatee. Check out the announcement below to learn more about Primrose and their Balanced Learning approach, and give us a call if you’re interested in giving your family a taste of everything Nocatee has to offer. There’s no one with more knowledge of real estate or houses for sale in Jacksonville’s most exciting up-and-coming community. Primrose School is Coming to Nocatee! Jacksonville – A Top 20 Place to Live! Those of us who have lived in Jacksonville for years have always known that Northeast Florida is a magical place to call home. Well, it looks like the rest of the country is finally catching up to what we’ve always known! According to a recent U.S. News and World Reports study, Jacksonville is officially one of America’s top 20 destinations for anyone in the real estate market! Check out the article below to find out why families all over the United States are flocking to the Sunshine State, and give Team Kelly and Wanda a call if you’re interested in experiencing everything Jacksonville has to offer for yourself! The 20 Most Desirable Places to Live in the U.S. Your home is your castle, the place where you spend time with your family, make memories that will last a lifetime, and experience all of the most important moments in your life. A home is a lot more than just a place to live, though. It’s also your family’s most valuable financial asset. It’s important, then, to monitor the value of your home. Regardless of whether you ever intend to put up your home for sale, doing what you can to maximize its value is a smart financial decision. You’d never just let your stock portfolio degrade in value without taking action, so why do the same thing with your home? It’s amazing how much difference a simple coat of paint makes. 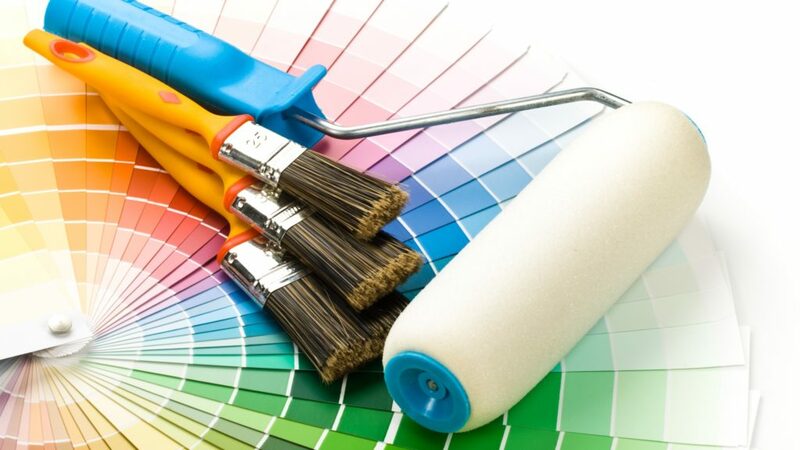 Whether it’s freshening up the walls in your kitchen or another high-traffic room or a quick repaint of any outdoor areas that are routinely battered by that tempestuous Florida weather, repainting is one of the fastest, cheapest, and most effective ways to drive up the value of your Northeast Florida home. Wear and tear happens, no matter how careful you are. Luckily, all it takes is a brush and a bucket of paint to take years off your home in a matter of minutes. Make a habit of repainting, inside and outside, and you’ll be going a long way toward getting max value if you ever sell your home. When you plant something, a tiny seed eventually grows into a huge plant. 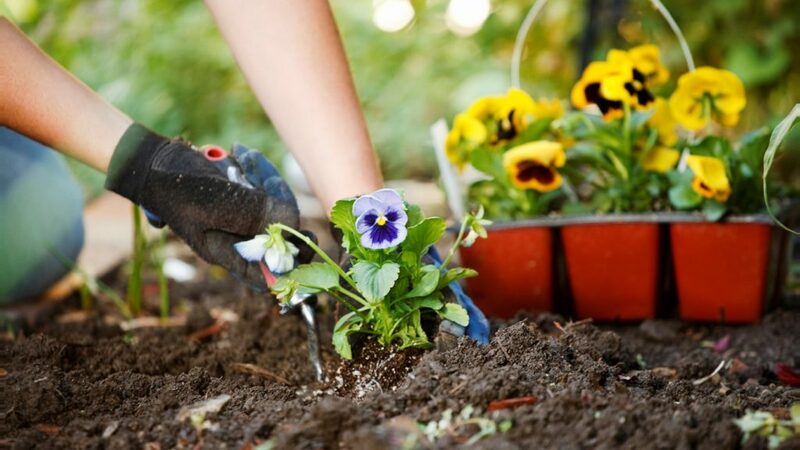 A small investment on landscaping today will similarly blossom into a big property value boost down the road. Obviously, your home is the selling point, but think of your landscaping as the picture frame around a valuable work of art. Obviously, you wouldn’t throw the Mona Lisa in a dime store frame. So why settle for unattractive landscaping or a poorly-maintained yard? With a small investment and a bit of maintenance, a landscaping overhaul can pay for itself three or four times in property value. It’s the most cost-effective way of boosting your home’s curb appeal. So get out there and plant the seeds of your financial future! Making your home as energy efficient as possible pays dividends twice. It doesn’t just raise your property value, it saves money on your monthly bills as well. There are dozens of ways to make your home more energy efficient. The first is to switch to high-efficiency appliances. Ovens, refrigerators, tankless water heaters, and dishwashers are all available in high-efficiency models. Another effective way to increase your efficiency and raise your property value is to replace your windows and doors with double-paned, energy-saving versions. You can even install energy-saving lightbulbs in every room! Property in Northeast Florida is a valuable commodity, and it’s a sound financial decision to keep your property value as high as possible. By following these simple steps, you’ll be protecting your investment and making sure that, if you ever decide to sell your home, you’ll get the best possible price. 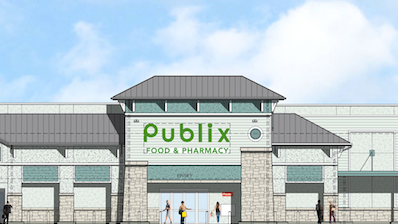 Publix is coming to Palencia!!! AWESOME news for the Palencia area and its residents! This is a game changer for buyer and sellers as convenience is so important when buying a home!! Coming in 2018!! Click above to read the full article and find out more! Hurricane Matthew is long gone, but the impact is still being felt all over Florida’s First Coast. Things are slowly getting back to normal, though. We were glad to see this St. Johns County report on the clean-up efforts, which shows how much has already been accomplished and what’s still left to do. Go check it out below, and be sure to keep visiting our blog for updates on all the stories that affect you and your family.